You may have heard a while ago that virtual reality (VR) is the next big thing. Wondering when you’re going to be assigned a bulky headset to wear at your desk or when you’ll actually be able to try on clothes without having to go to the store? Real life may not be there yet, but VR, augmented reality (AR), and mixed reality (MR) are coming to a location near you in 2018. And by 2020, more than a billion people will be regular users of VR and AR. Here’s what you need to know to be ready. This year will see growth in a variety of virtual technologies and uses. There are differences and similarities between virtual, augmented, and mixed reality technologies. The technology is constantly evolving and even the terminology around it changes quickly, so you may hear variations on these terms. Augmented reality is what was behind the Pokémon Go craze. Players could see game characters on their devices superimposed over images of their physical surroundings. Virtual features seemed to exist in the real world. Mixed reality combines virtual features and real-life objects. So, in this way it includes AR but it also includes environments where real features seem to exist in a virtual world. In theory, mixed reality lets the user see the real world (like AR) while also seeing believable, virtual objects (like VR). And then it anchors those virtual objects to a point in real space, making it possible to treat them as "real," at least from the perspective of the person who can see the MR experience. And, virtual reality uses immersive technology to seemingly place a user into a simulated lifelike environment. Education and research fields are at the forefront of VR and AR technologies, where an increasing number of students have access to tools. But higher education isn’t the only place you see this trend. The number of VR companies grew 250 percent between 2012 and 2017. Even the latest iPhones include augmented reality capabilities. Aside from the classroom and your pocket, here are some others places you’re likely to see VR and AR pop up in 2018. Entertainment venues: Many malls and movie theatres have been struggling since the public can now access the likes of Amazon and Netflix from the comfort of their kitchens and bedrooms. 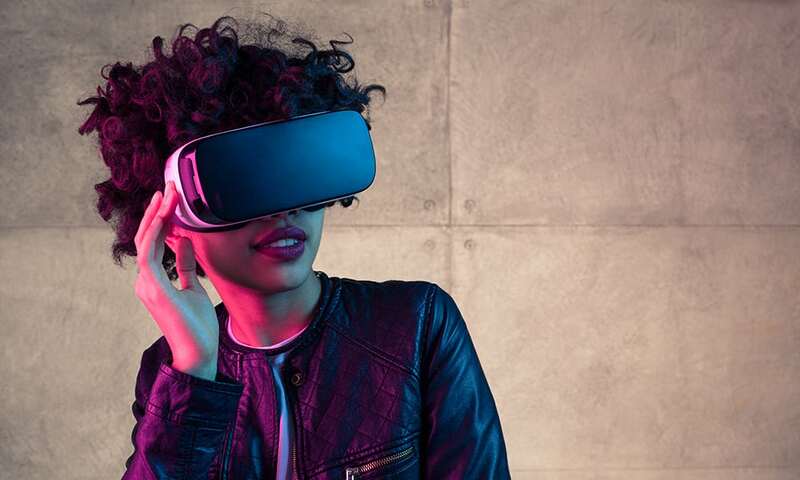 However, virtual reality experiences are moving into these spaces to provide larger-than-life play that you can’t get using an at-home headset. The workplace: From training to prototyping to product testing, AR and VR can cut much of the risk from investing in employees or products that might fail once they begin real work or see the light of day. Home: Whether you play or work from home, you’ll have lots of options for gaming, socializing, and connecting with colleagues. Shopping: AR and VR will make shopping—whether from home or in a store—a more personalized and simplified experience. With these technologies, you’ll no longer have to wander the store without direction or assistance. You may get help from a virtual customer service “person,” but you won’t have to go through a fitting room attendant to try on clothes. The doctor’s office: Technically, some of these uses can take place at home in lieu of going to a medical facility, but there will be applications for use in clinics, hospitals, and more. VR will be used for rehabilitation, pain management, depression and anxiety treatment, and many other healthcare purposes. Everywhere else: From virtual travel to advertising and marketing, there are few places that won’t be touched by virtual reality technologies. Virtual reality, Augmented reality, virtual assistants, Siri, Google Home -- there's so much in store for 2018. What're your thoughts on the tech world? And, in case you missed it, you can read the first part of this tech trends series here.